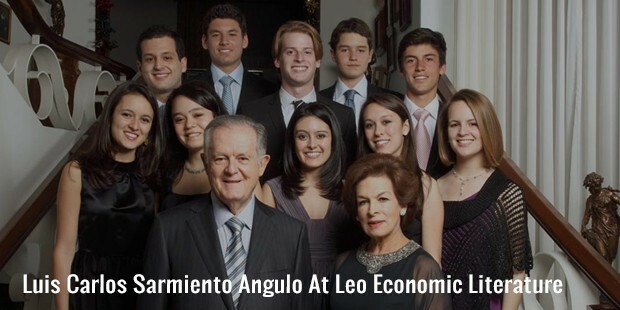 Luis Carlos Sarmiento Angulo is the richest man in Colombia. He is the President of Grupo Aval Acciones y Valores, SA and also the majority shareholder.He has Bachelor of Science degrees in Civil Engineering from the University of Miami, and an MBA from the Cornell University. 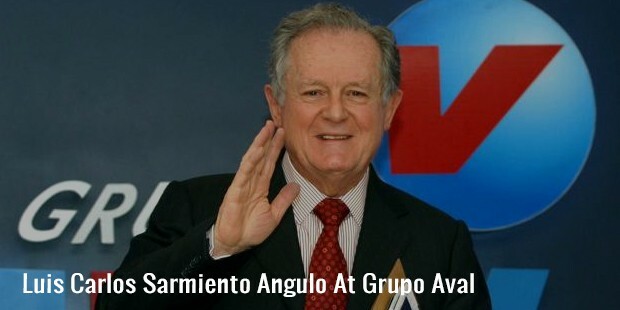 Grupo Aval is a holding company that owns controlling interests in four leading Colombian banks, a merchant bank, the country’s largest pension fund manager, and several financial subsidiaries. These institutions jointly represent close to 30% of all assets in Colombia’s financial sector. In 1950s Sarmiento began his career, building residential and commercial developments.After achieving success in the industry, he invested the money in acquiring businesses that primarily concentrated on financial service and banking companies.He also worked in financial and marketing positions at Procter and Gamble, Cincinnati. Then, he served as the president for Cocelco S.A from 1997 to 2000, a cellular company which he later sold out to Bell South. He also held different positions, including that of Chief Operation Officer, at the First Bank of Americas. By 2000, he had become one of the top banking entrepreneurs in Colombia, retaining around 22% of the total banking assets of the area. This was the maximum limit as allowed by the Colombian law. 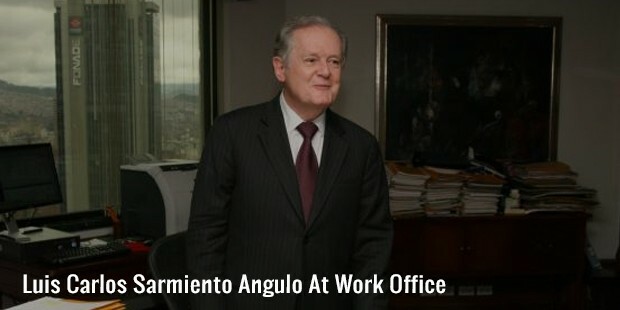 Grupo Aval was founded by Sarmiento as a holding company, with which he aimed at gathering telecommunications, real estate and banking interests. Major banks and several other financial service providers of Colombia are part of the organization, due to which he has become one of the most sensible entrepreneurs in the country. With his efforts, skills and expertise, Luis managed his enterprise through the worst of recession times in Colombia. Owing to the booming stock market of Colombia between 2005 and 2006, his net worth amplified significantly. 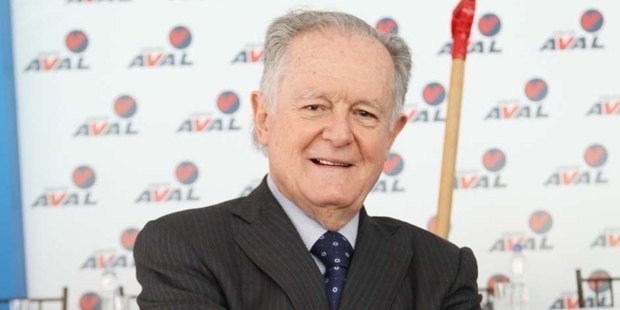 Presently, his son, Luis Carlos Sarmiento Gutiérrez is the acting CEO of Group Aval, helping in running the enterprise. He will eventually take over his father’s business after. 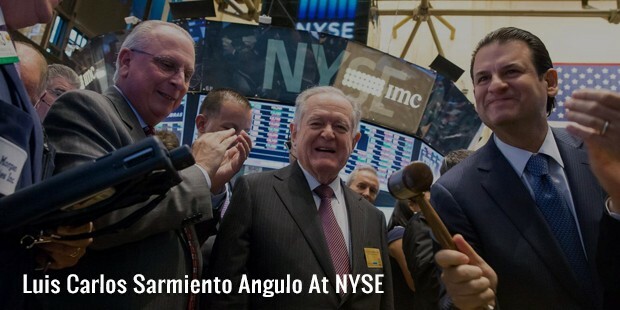 Sarmiento has been serving as the president of the company since 2000. With his group of companies, he directly employs more than 30,000 men and women, and runs a network of 2170 ATMs, 1340 branches, and 250 other establishments. Today at the age of over 80, he still works for more than 60 hours in a week, and holds the chair position of the company. In 2012, he bought El Tiempo, the biggest newspaper of Colombia, and announced building of Grand Hyatt in Bogota. With all his efforts and accomplishments, Luis Carlos Sarmiento has become an inspiration for those who are looking to pursue a career in the banking industry.